Featuring brand-new, world class Illusionists handpicked from across the globe, The Illusionists 1903 promises to transport the audience back to the golden age of magic, a time when conjurers were the true rock stars of the day. Showcasing the origins of some of the greatest and most dangerous illusions ever built, the show also unveils never-seen-before experiments drawn from a treasure trove of long-forgotten mysteries. The true art of magic will be explored in exquisite, turn of the century grandeur in this larger than life production from the acclaimed creative team behind international mega hits The Illusionists and The Illusionists 2.0. In this world premiere at QPAC audiences will discover first-hand the spectacles that transformed stage entertainment over 100 years ago. After the weeklong magic of Woodford Folk Festival it seems apt that the first show on offer in 2015 is a celebration of old world grand magic. 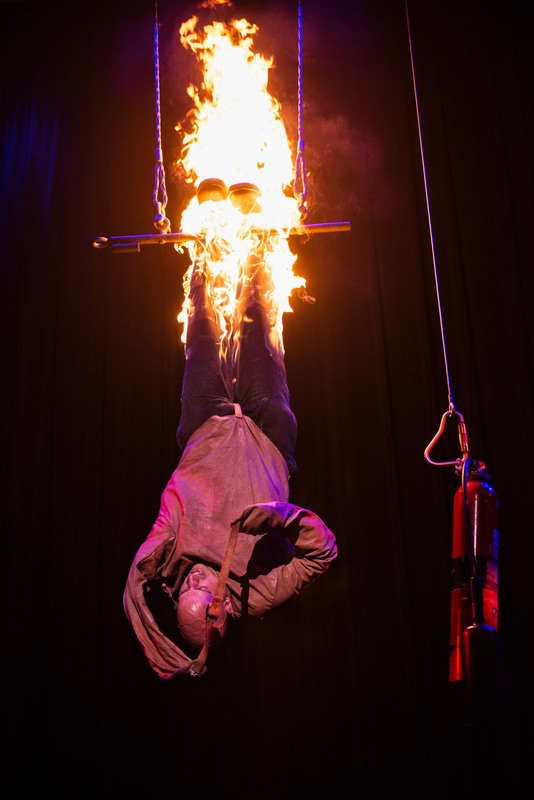 The Illusionists 1903 is the newest creation of its kind from producers, Simon Painter and Tim Lawson. The third lavish instalment in the smash hit live-on-stage series, The Illusionists 1903 features some of the world’s greatest practitioners of magic and illusion. It’s at QPAC until Sunday. Having missed the previous productions (The Illusionists & The Illusionists 2.0) I’m unable to offer a comparative study, but what I do know is this: people love the mystery and allure of magic and they keep coming to see it! With a simple formula designed to please, featuring a little bit of history and eight Illusionists, each with their own character and area of expertise, it’s a no-brainer. That’s not to say that audiences will even come close to working out how the magic is done. If we suspend disbelief and don’t look too closely we miss the clues exposed by slowly changing lighting states and slightly clumsy moves. The Illusionists 1903 actually has something for everyone and at times it’s truly astonishing. An interesting aspect of this version though, is the inclusion of some sleight of hand “micromagic”; the card and coin tricks you’ll likely see at a party (or on the streets of Woodfordia). Only with close up real time footage shown on a suspended screen can we see what’s going on. It makes me question the validity of this form within a show such as this. Or is it a brilliant masterstroke, using the available technology, allowing us to get a glimpse of the magic when otherwise it would be missed? The Maestro (Armando Lucero) invites two audience members to join him at the table on stage, in order to witness proceedings at close hand, and it is this couple that get the best of this part of the show, micromagic being much more exciting close up. The Clairvoyants (Thommy Ten & Amelie van Tass) don’t serve the show as well as they should. Each mentalism segment is slow, giving us time to question whether or not these tricks are set up before the show, and there are too few “wow” moments. Cynical me decides they must have plants in the audience, in which case van Tass’s true talent is an incredible ability to instantly memorise and later recall in the correct order, the facts pertaining to each audience member. Is the real question though, “What does it matter? !” If that’s entertainment, it doesn’t matter. But let’s make it entertaining. 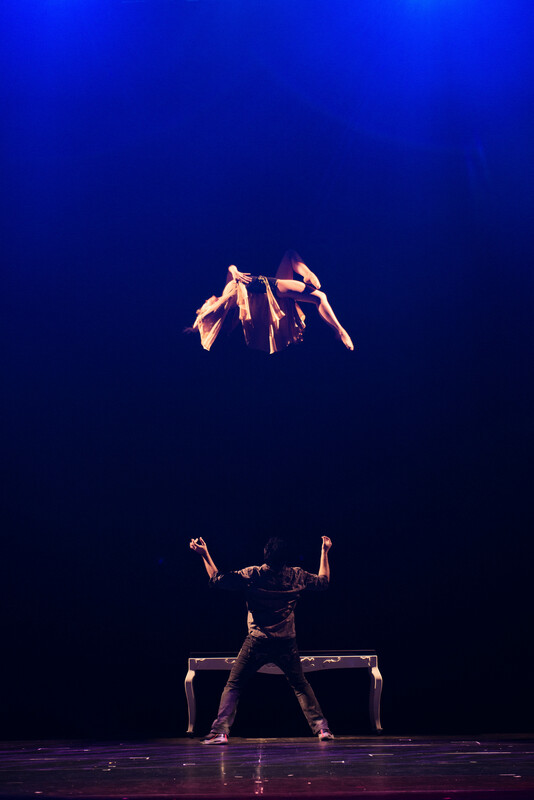 The Eccentric (Charlie Frye) boasts some seriously impressive circus skills, making him another anomaly in this line up. 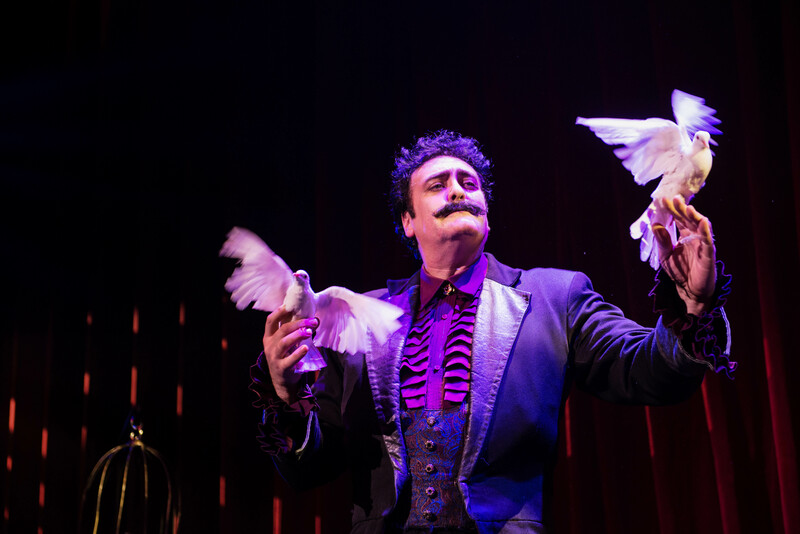 Though it’s not strictly magic, his vaudevillian humour and his tricks using interlocking hoops, and his balancing and juggling acts win the respect of the Brisbane audience. Sam and I argue whether or not there is more “skill” in these acts than there is in conjuring an illusion. The Daredevil (Jonathan Goodwin) is another clear favourite of Sam’s. He gains instant respect from me due to his physique husband and father status (read your glossy souvenir program, peeps!). All around, we hear him being compared to Houdini and Johnny Jackass Knoxville. Meanwhile, I’m wondering if his wife has ever stopped thinking yet that he might not come home after a show; that it might end BAD. He’s not a magician, nor an illusionist. He’s an escapologist! Everything he does is for reals, kids… Don’t try it at home! Here’s the gimmick: invite an audience member to perform a classic pain threshold trick and then casually, respectfully, with a disarming smile, up the anti. Felicity, from the audience, reluctant to lie on a bed of 1000 nails, does so with the assistance of Goodwin, who explains the science behind it. I wish I’d had a science teacher like Goodwin at high school. If that were the case I may have taken Science in Senior instead of Modern History. #sorrynotsorrydad Anyway, knowing the science behind the feat now, we watch Goodwin settle on just one nail! Ouch! This guy also plays with knives… #ofcoursehedoes He plays 5-finger fillet AKA “Nerve”, which is a “game” with which a friend used to freak me out (he used a flick knife given to him by his father, which he kept on him at all times. No, not my friend anymore). Goodwin’s manner is easy going; a carefully crafted, or else completely genuine combination of Hugh Jackman effortless suavity, Richard Branson devil could care less larrikinism and Robert Downey Jnr slick tendency towards double entendre. Later, it’s not enough for The Daredevil to get out of a straight jacket; it’s been done. But apparently this is new: Goodwin is hoisted upside down and left to hang by his boots while a fuse is lit and flames creep towards his trousers, leaving him just sixty seconds in which to get free and put out that fire. Phew! Going by the gasps in the crowd, this act has the desired effect, especially on the kids in the audience. Seriously, kids, don’t try it at home. I enjoy the music. It’s old school, vaudeville, maintaining the salon/saloon sorta’ mood and building tension where appropriate. Sometimes it’s played live on stage… And then we recognise something from the montage in Singing in the Rain (even Rocky had a montage). The show should have finished with The Immortal’s levitation illusion, which was short and sweet, and truly breathtaking. Instead, we went back to The Maestro’s card tricks, captured on camera and conveyed to the big screen; an anti-climax to say the least, with those uninvolved (ie the other Illusionists) posed on stage as if they were waxen figures. Awkward. The Maestro’s insistence that we would suffer “sleepless nights” wondering about the magic left me wondering if he was for real. This is not a show that I’ll remember for the rest of my life, but it’s a great way to start a magical new year. I may be one of a handful but the truth is I don’t care how the trick is done. I’m curious, sure, but ultimately I want to be entertained, and I want to leave the theatre feeling breathless and awe inspired. With the exclusion of the The Immortal’s levitation and The Daredevil’s dramatic flames, this show lacks wow factor. While high expectations might mean it’s not the spectacle it promises to be The Illusionists 1903 offers a genteel evening of parlour tricks, physical challenges and grand illusions. The brand lays claim to a large and loyal following, though this particular production may be better suited to a more intimate theatre and a smaller crowd each time. If you’re a fan of any sort of magic and illusion you’ll certainly get a glimpse of it here. But only until Sunday so be quick!